IJS Trade Services - Central Heating Engineer, Plumber based in Quarry Bank, West Midlands. 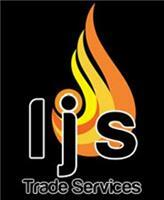 Welcome to award winning IJS Trade Services. With 15 years experience in the plumbing and heating trade, IJS Trade Services provide the highest quality plumbing and heating services. 2nd place winner of the national heating installer awards 2017 in the west midlands. At IJS we strive to supply the widest range of services to our customers, from repairing plumbing issues to fitting, repairing and servicing boilers and other gas appliances. Also, qualified and skilled in the inspection and testing of Portable Appliances. IJS are British Gas trained and are gas safe registered giving you piece of mind that you are in safe hands. If your looking for a plumber or heating specialist in the West Midlands then please give IJS Trade Services a call for a free, no-obligation quotation today or visit our website for more details about our quality plumbing and heating services.